Since its inception in 1964 at the Anchor Bar in Buffalo, N.Y., the chicken wing has become a national staple. 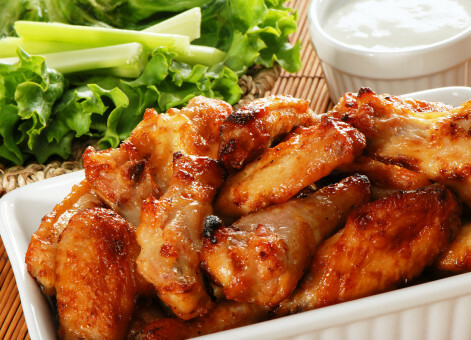 Americans consume nearly 30 billion wings annually – about 1.3 billion on Super Bowl weekend alone. At an average rate of 24 wings per month – 290 wings a year — that translates to 18,000 chicken wings over a typical lifespan. In honor of National Chicken Wing Day, one popular fast casual/sports bar franchise is offering a special nationwide promotion for wing-lovers. All day on July 29, Buffalo Wild Wings fans who dine-in will receive a free snack-sized order of wings with the purchase of any small, medium or large order of wings. Coinciding with National French Fry Day, the Healthy Fats Coalition proclaimed July 13 the first annual #NationalBeefTallowDay — a celebration of beef fat, an authentic, traditional ingredient that brings out the very best in food. Like pure lard, duck fat, goose fat and other animal fats, beef tallow is now enjoying a resurgence within America’s food culture, in restaurants and fast food operations. #NationalBeefTallowDay is the brainchild of the HFC, a group of like-minded organizations, companies and individuals that have developed a new educational initiative dedicated to the proposition that healthy fats aren’t merely having a moment – they’re here to stay, as an essential part of the American diet. Its mission is simple: affirm that animal fats deserve a central place in the American diet and in the popular imagination. HFC is especially committed to raising awareness about the health benefits of natural animal fats like beef tallow.